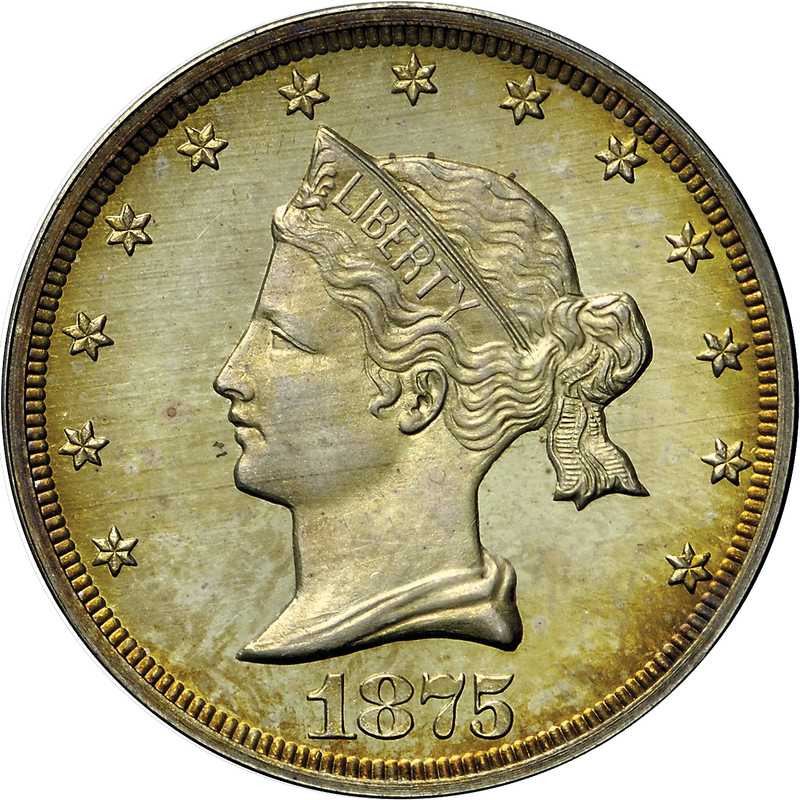 In 1875, the Mint continued its experimentation with twenty-cent coinage and trade dollars. A popular design for the year was this so-called Sailor Head bust of Liberty, named for the appearance of the collar resembling a sailor’s uniform. 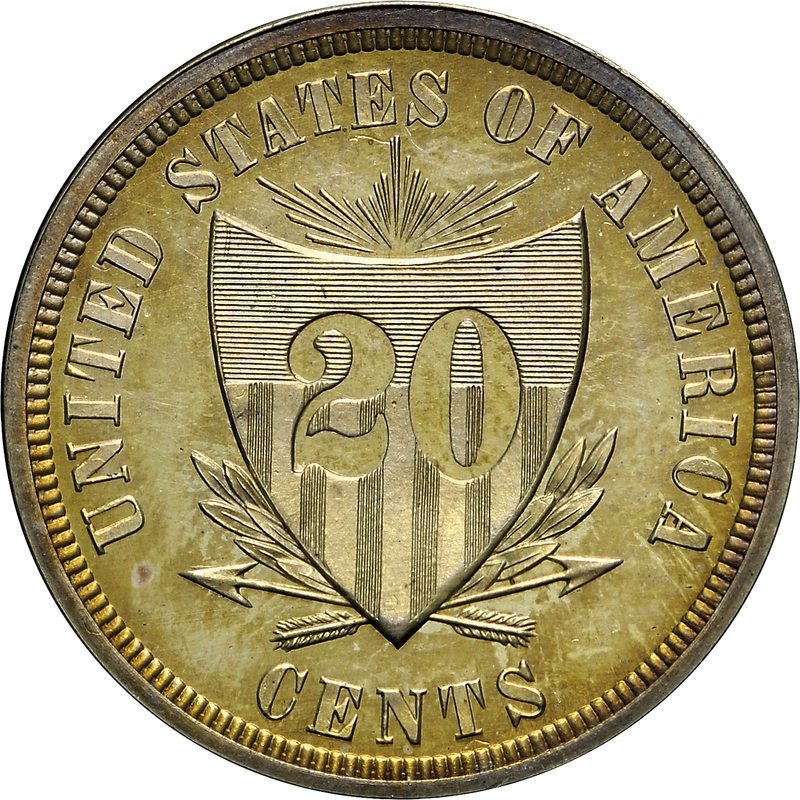 The denomination was finally authorized according to the Act of March 3, 1875, with a letter from Henry Linderman to James Pollock specifying the design and standards for the denomination. From New Netherlands 61st Sale, June 1970, Lot 54. 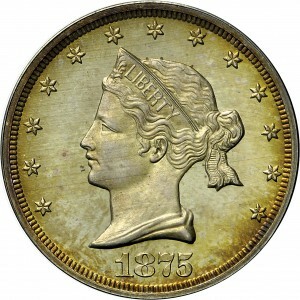 Head of Liberty to left, coronet in hair, LIBERTY and small sprig on coronet, hair tied back, collar at Liberty's neck, 13 stars around, date below bust. 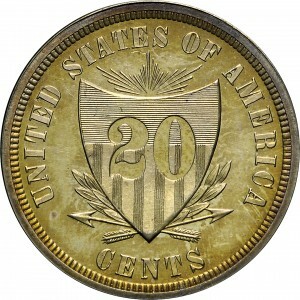 Three-pointed shield at center of field, 20 incused at center of shield, rays at top of shield, olive sprig and arrows at base of shield, UNITED STATES OF AMERICA around, CENTS below shield.